Washing Soda Poisoning is the accidental or intentional intake of any product containing the compound. What is Washing Soda Poisoning? What are the Causes of Washing Soda Poisoning? Note: The compound can interact with other prescribed or non-prescribed medications in the body. Such interactions may enhance the therapeutic effects of other medications being taken, resulting in undesired side effects. What are the Signs and Symptoms of Washing Soda Poisoning? The signs and symptoms of Washing Soda Poisoning can vary from one individual to another. It may be mild in some and severe in others. Several systems of the body may be affected. How is First Aid administered for Washing Soda Poisoning? Who should administer First Aid for Washing Soda Poisoning? 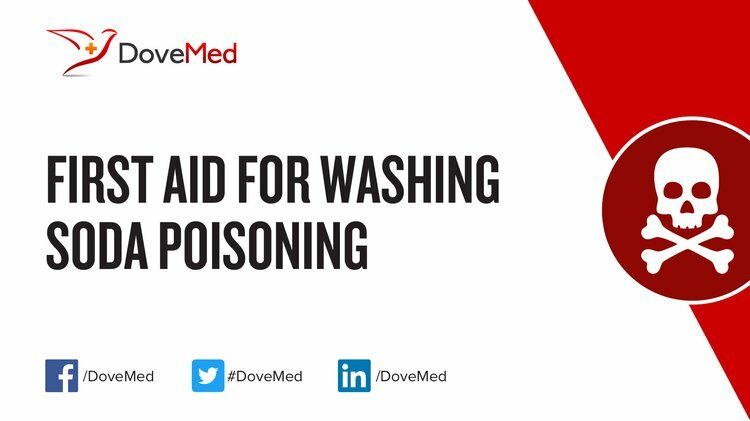 First aid for Washing Soda Poisoning is administered by healthcare professionals. What is the Prognosis of Washing Soda Poisoning? In general, toxicities are common situations in the emergency departments. A majority of the cases are often not fatal, when appropriate treatment is given. How can Washing Soda Poisoning be Prevented? Sawama, Y., Yabe, Y., Shigetsura, M., Yamada, T., Nagata, S., Fujiwara, Y., ... & Sajiki, H. (2012). Platinum on Carbon‐Catalyzed Hydrodefluorination of Fluoroarenes using Isopropyl Alcohol‐Water‐Sodium Carbonate Combination. Advanced Synthesis & Catalysis, 354(5), 777-782. Park, D. S., Li, Z., Devianto, H., & Lee, H. I. (2010). Characteristics of alkali-resistant Ni/MgAl 2 O 4 catalyst for direct internal reforming molten carbonate fuel cell. international journal of hydrogen energy, 35(11), 5673-5680. Reade, M. C., Davies, S. R., Morley, P. T., Dennett, J., & Jacobs, I. C. (2012). Management of cyanide poisoning. Emergency Medicine Australasia, 24(3), 225-238. Montgomery, C. (2013). Fracturing fluids. In Effective and Sustainable Hydraulic Fracturing. InTech. Jung, Y. S., Yoon, W. L., Seo, Y. S., & Rhee, Y. W. (2012). The effect of precipitants on Ni-Al 2 O 3 catalysts prepared by a co-precipitation method for internal reforming in molten carbonate fuel cells. Catalysis communications, 26, 103-111. Bracco, J. N., Grantham, M. C., & Stack, A. G. (2012). Calcite growth rates as a function of aqueous calcium-to-carbonate ratio, saturation index, and inhibitor concentration: Insight into the mechanism of reaction and poisoning by strontium. Crystal Growth & Design, 12(7), 3540-3548. Yazid, H., Adnan, R., Hamid, S. A., & Farrukh, M. A. (2010). Synthesis and characterization of gold nanoparticles supported on zinc oxide via the deposition-precipitation method. Turkish Journal of Chemistry, 34(4), 639-650. Ito, R., Ushiro, M., Takahashi, Y., Saito, K., Ookubo, T., Iwasaki, Y., & Nakazawa, H. (2011). Improvement and validation the method using dispersive liquid–liquid microextraction with in situ derivatization followed by gas chromatography–mass spectrometry for determination of tricyclic antidepressants in human urine samples. Journal of Chromatography B, 879(31), 3714-3720.